Amazon is selling Atlanta Healthcare Beta 350 7-Stage Purification 350 sq. ft., 225m3/hr. 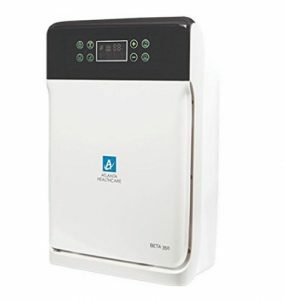 air flow HEPA Air Purifier Rs.11460 (HDFC Debit ) or Rs. 11960 only. purification for dust-free and healthy indoors, helps keep indoor air free from dust (PM10, PM2.5), gases, smoke, bad odour, allergens and air-borne infectants.